Anything over 122" is a transformer ... lol! 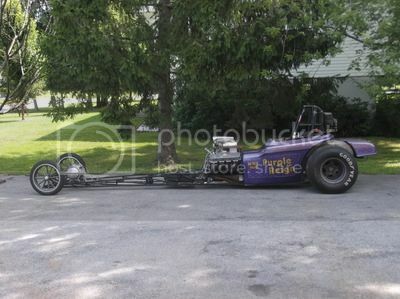 That Botica built car is absolutely wicked and runs as a Top Alcohol Dragster. As for the car in question, less the body, that is not anything new. 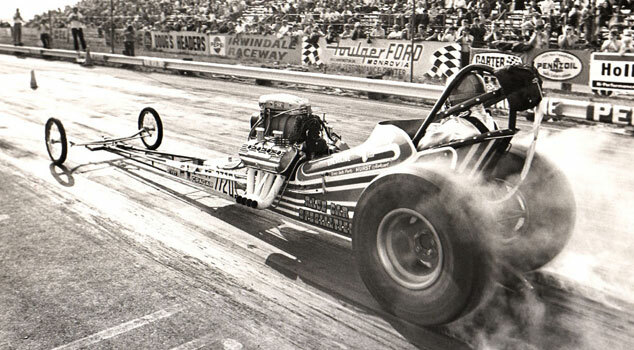 All be it rare, that type of car has been built since at least the 70s and usually runs as a dragster. 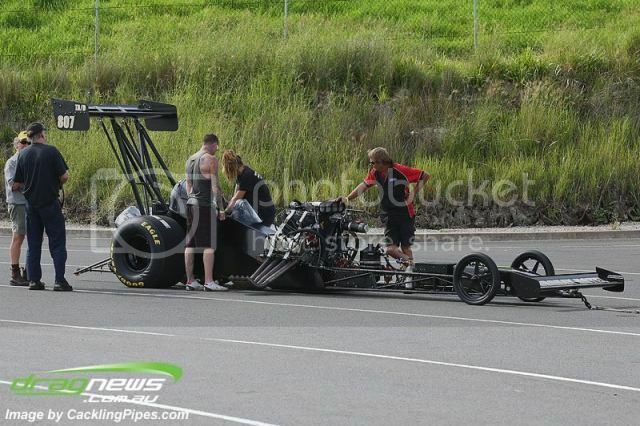 That black beauty is owned by Russel Mills (Sydney Australia) and was built by Richard Botica - the same talented guy who built my Fossil Fueler injected nitro digger. Does anyone know what the wheelbase is on this Baby? Here is a nice one do not know who owns it but it is interesting. I'm With Nightmare ---- Comp Roadster even with the wider body. I'd call this a Modified Roadster. And if it is on alcohol a Modified Fuel Roadster. Kind of a hybrid dragster/altered. And finally, what's the old saying ... "Everything old is new again"? Take a look at today's nostalgia Top Fuelers with their upright seating and compare them to this piece, Paul (P.G.) "Injun" Johnson's "funny digger" from the early 1970s. I actually found two pics of this car, built by Race Car Specialties and Jim Hume, both taken at Irwindale, but with two different car numbers: one with Johnson's (7717), and this one with Butch Maas' number (7720). Earlier this year, Bob Frey sent me a long list of cars that Maas had driven (compiled a year earlier in Pomona), but this one wasn't one of them, meaning that it was truly forgettable or that he only drove it a very few times. In the shot with Johnson driving, the car has canard wings in front of the rear meats, so I'm guessing that maybe Maas shook it down, it handled poorly, and they added the wings before Johnson took the saddle. The NHRA Competition License is divided into 2 types; Type A which is over 125" wheelbase and Type B which is up to 125" wheelbase so if the car that you're driving requires a Type A license then it's a dragster.